Over the last 10 years youth football became more mainstream. Youth-Champions League is broadcasted on the TV, we have youtube videos with highlights of each player and the whole life on the social networks. However, how many young players are actually becoming the first team members? As we can see Chelsea have one of the best academies in the world and within 4 years were in the 3 finals. I think it would be fair to use them as the main example in this article. The main question is “Why are all these young talents not shinning in the first team?”. There are a lot of factors and I will try to combine them together to have a better understanding of the one of the biggest problem in modern football. The final against PSG in 2016 – Chelsea has played 4-2-3-1 formation in that game and also over the whole season. 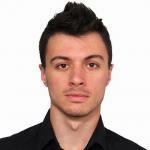 However, in few months, Antonio Conte changed formation to 3-4-2 and brought Premier League title to Stamford Bridge. 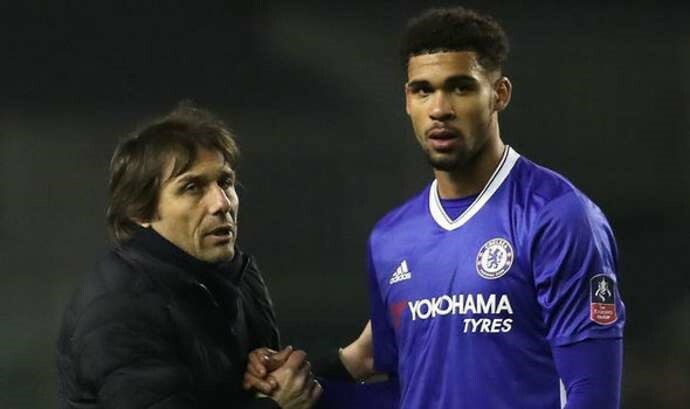 After these changes, Loftus Cheek, one of the most talented central midfielders in England, had to play as a strike for a couple of games and then moved to Crystal Palace on loan in order to have more time to play. The same situation we can see this season with Sarri, the new coach brings his own philosophy and vision of the game, which makes really hard for a young player to adjust to the new role on the pitch, higher speed of the game and understand new philosophy. Just in January Bayern Munich tried their best to sign Callum Hudson-Odoi. Chelsea rejected the offer and sat down with a player to discuss the new deal. Young prospect was offered a new contract worth a minimum of £50,000-a-week to stay, rising to £70k if he meets certain targets and it is in the age of 18 years old. 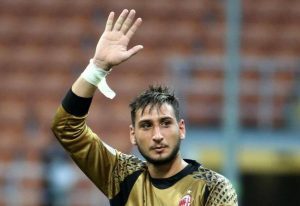 For example, Gianluigi Donnarumma, goalkeeper from AC Milan, has refused to play for the club at the age of 18 until he gets the better contract. After few months of arguments the club offered Donnarumma much better and now Italian goalkeeper earns 6 millions Euros per year. Not many players are able to go through fame and pressure from the media. The best example is Bojan Krkić, at the age of 18 he was called the new Messi, scored goals in LaLiga and was named as “new Messi”. However, in the recent interview, Bojan has revealed that all this pressure which were coming from the club, fans and media caused him problems with his mental health. During his time in Barcelona he began to experience anxiety attacks, he couldn’t even make a proper debut for the national team, because of one of these attacks. 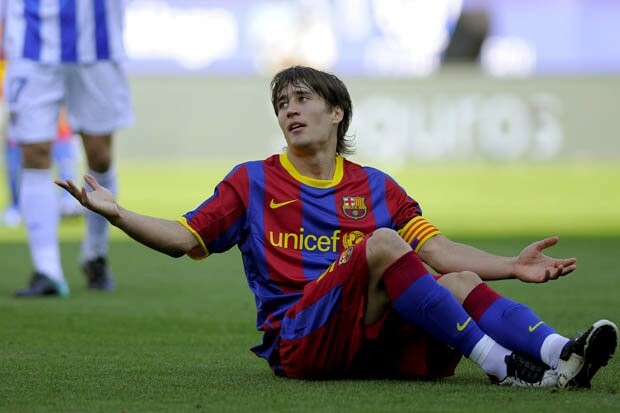 Bojan is just one of the many young players who were not able to realise their full potential because expectations were too high and no one was paying attention to the psychological part of the development. It’s hard to imagine the young player without Instagram or Facebook page, now that’s the part of game, which makes life for the players much more complicated. Just imagine the effect on the young player, who was offered to be the face of adidas or nike? 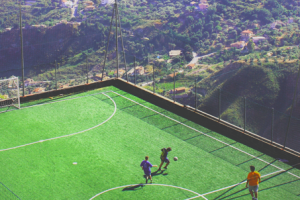 More and more young players starts to forget about the priorities in their life and football becomes no longer as a passion, but the instrument to be famous and create hype. 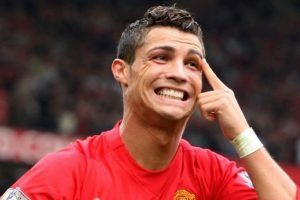 It has a massive effect on some coaches either – just a few hours after Jose was sacked from ManUtd, Paul Pogba posted the provocative post and Alexis Sanchez went even further by playing Hans Zimmer’s ‘Now We Are Free’ from the 2000 film Gladiator by driving into United’s training ground. Just to sum up everything from above, as coaches we have prepare young players not only technically, but especially mentally to face a lot of challenges in their future professional career. Players who are driven by the love and enjoyment of the game have a great chance to find they place on top of the game. Combine this with a strong and clear philosophy of the club and we will be able to see hundreds of Mbappes all over the world. Unfortunately, it is utopia in a modern football, which is builded by money, greedy agents and the new of entertainment for billionaires. Find more info in our online course: Making the best choices when Scouting youth Soccer Players! Since 2012 I’ve been working as a football coach and have a world-wide experience in countries such as Ukraine, England, USA and Germany. I started my way in Ukraine with U-6 team, which gave me the good foundation and understanding how to organise training process. In 2014 I moved to England, where I studied Sport and Exercise Science and also coached U-9 and U-10 team. In 2016 I received a job offer from the USA, where I worked as a manager of squads from U-5 to U-16, organised seminars for the coaches and share my knowledge and experience. In 2017 I moved to Berlin, Germany to work with a U-12 team who was competing in the highest league of Berlin, during that time I also gained UEFA B-License. During the summer of 2018 I worked for Chicago Fire and could stay there longer, however I decided to come back to Ukraine to complete UEFA A-License course.